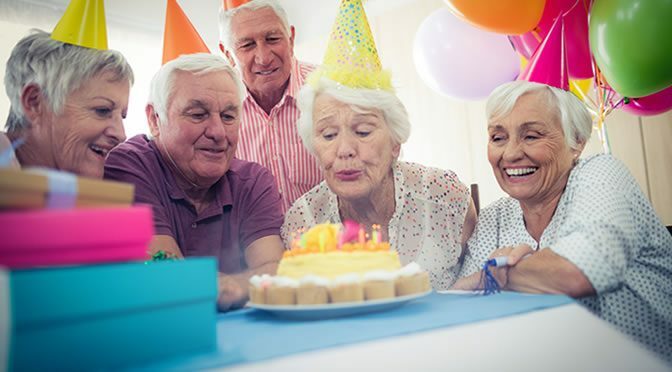 The maximum age to blow out the birthday candles looks likely to be 125 years as humans have already reached their natural limit, study suggests. Today’s diet, environment, medicine and public health in general are much improved compared with previous centuries. For example, U.S. babies born today should expect to live on average until age 79, whereas the average life expectancy for Americans born in 1900 was only 47 years of age. History reports that the oldest person ever was a French woman Jeanne Calment who died in 1997 at age 122. Now, researchers think it is unlikely this record will be broken since human’s maximum age has been stuck around 115. “Demographers as well as biologists have contended there is no reason to think that the ongoing increase in maximum lifespan will end soon. The study analyzed the Human Mortality Database, which contains data from more than 40 countries. Since 1900, the data showed that, while life expectancy has increased over the years and many people exceed 70, the survival rate drops rapidly after the age of 100. Their calculations suggest that the absolute limit of human lifespan is 125 years and so the chance of seeing a person live up to 125 in any given year is less than 1 in 10,000. “Further progress against infectious and chronic diseases may continue boosting average life expectancy, but not maximum lifespan. While it’s conceivable that therapeutic breakthroughs might extend human longevity beyond the limits we’ve calculated, such advances would need to overwhelm the many genetic variants that appear to collectively determine the human lifespan. The study was published in Nature (Dong et al., 2016).